Deluxe Sustain Pedal with 30 foot Audio cable and adapter. 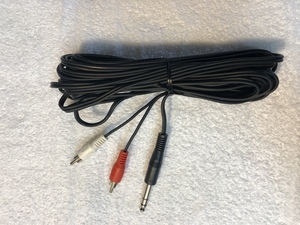 This cable connects from the headphone output on most Casio keyboards to the Auxiliary connections on nearly all stereo systems. 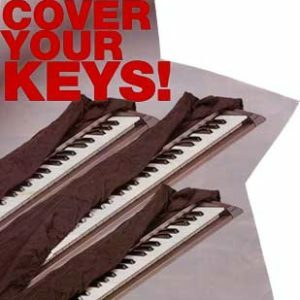 Get a huge sound from your keyboard when you “patch it” to play through a quality stereo system, PA system, or mixing board with this long length stereo cable. 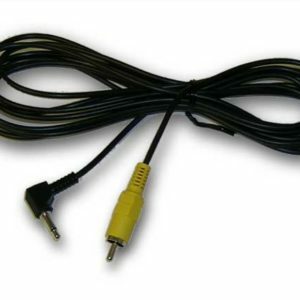 Cable has a 1/4 inch stereo male connection on one end and dual RCA male connectors on the opposite end. 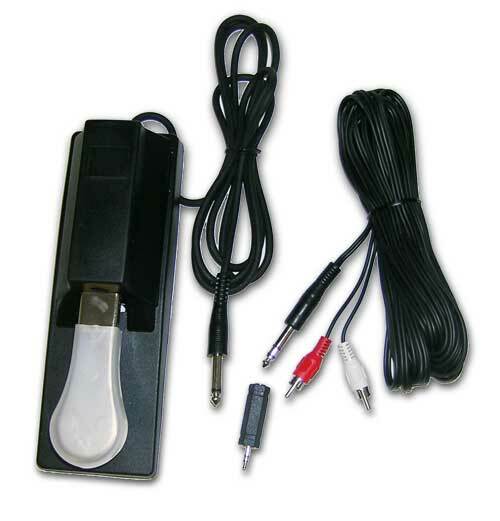 The adaptor allows the cable to connect with keyboards featuring an 1/8 inch stereo output.